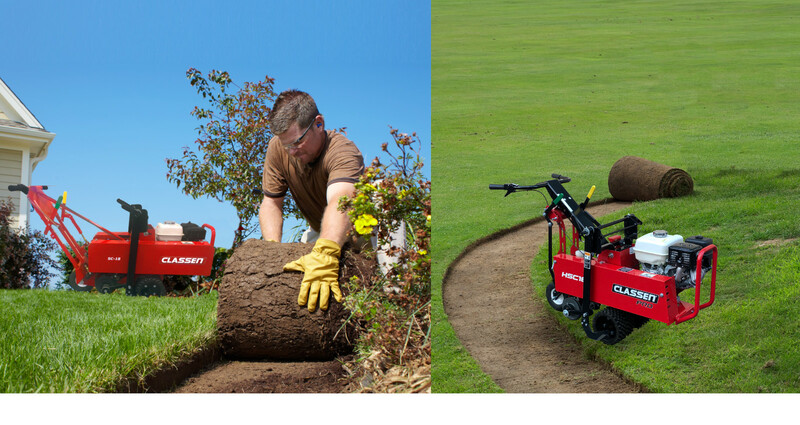 Classen Sod Cutters. 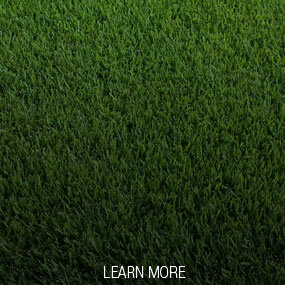 Up to 42% Less Vibration. 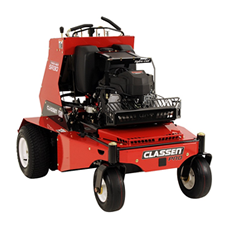 At Classen we’re serious…about keeping our lawn care equipment simple. Simple to use, maintain and transport. 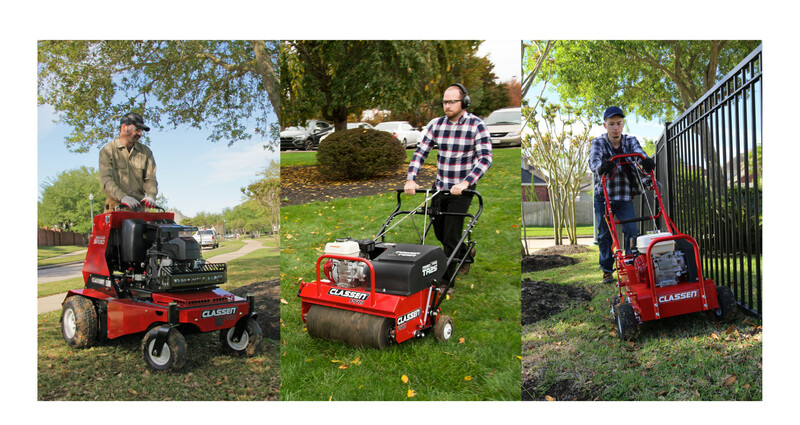 Whether you rent or own you’ll love our line of aerators, sod cutters, turf overseeders and turf rakes. 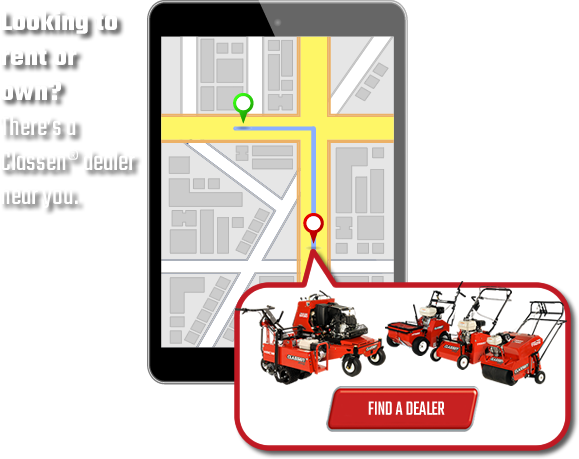 You’ll accomplish more turf care jobs in less time. 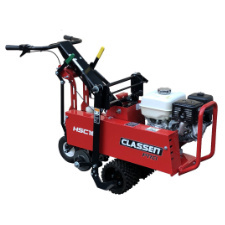 Classen equipment has fewer moving parts to repair or replace, so there’s less downtime and greater utilization. 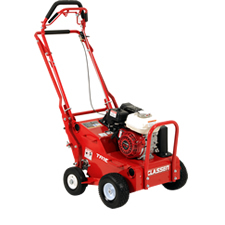 Plus features like hydrostatic drives, fold-down handles, flip-up platforms and built-in tie down brackets make transport easy to and from the work area.